Your AquaNui will be just that; YOUR AquaNui customized with modular components to fit your family or business. That makes AquaNui unlike any other water distiller available for purchase. 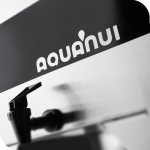 The compact AquaNui has the narrowest profile and footprint of any premium water distiller we know of. It comes in three production sizes and because of it’s unique modular design, you can increase the production and storage capacity as your family or business grows. AquiNui also offer upgrades so you can fit your distiller to your lifestyle. Add a pump and you can distribute water throughout your home or workplace. 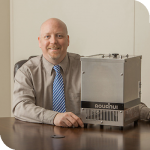 With AquaNui, you are buying a premium water distiller that can grow with your family or business. Choose from distillers that produce 8, 10 and 12 gallons a day, and storage tanks that hold 5, 10 or 15 gallons. We offer the largest storage tank in the market for a price less than our competitors. Add extra storage tanks to boost your emergency reserves. AquaNui is designed for today’s lifestyle. It’s stylish, compact design occupies less room than any other distiller in its class. And, you can upgrade your AquaNui with stylish facets, additional storage tanks, and even add a pump to dispense water throughout your home or workplace. 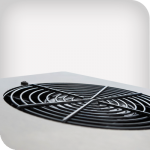 AquaNui is made in the USA from 100% American stainless steel. And it features a simple, two-button operation. The AquaNui is easy to set up and features simple, two-button operation. We’ve taken extra care to ensure the AquaNui is safe to have in your home, even if you have small children. 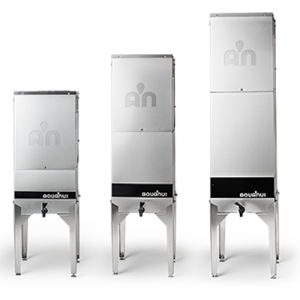 We thoughtfully placed the boiling tanks on our automatic AquaNui machines inside a separate, stainless steel shell. So, other than the AquaNui CT countertop unit, AquaNui 8G, 10G and 12G distillers run cool to the touch. This is a safety feature most of our competitors have ignored. AquaNui boiling tanks are removable, which makes them easy to clean and service. AquaNui storage tanks are steam sterilizable*, which kills bacteria and viruses. *Steam sterilization is a special cleaning operation that uses the steam generated by AquaNui to sterilize the storage tanks. Steam sterilization kills harmful bacteria and viruses, but it only works with stainless steel equipment like ours. We recommend steam sterilization at setup and once a year thereafter. 15-year limited warranty — 2-year full warranty on electrical parts. AquaNui premium water distillers combine the best in design, performance and price. Stainless steel is the ideal material for a distiller and makes every AquaNui unit incredibly durable. AquiNui water distillers are modular and space-saving. They’re designed to fit your needs and your lifestyle. Why not configure your AquaNui today? It’s easy to do. If you need assistance, our customer service representatives are ready to help.